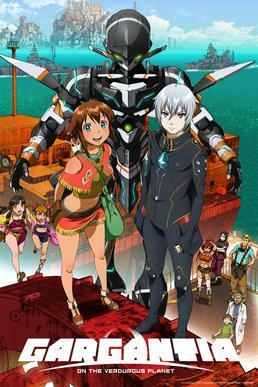 Gargantia on the Verdurous Planet is a science fiction anime that aired a few years ago, in 2013. The story is set in the far future and follows Ensign Ledo of the Galactic Alliance as fate plucks him from the midst of an unending interstellar war between humanity and monsters called Hideauze, and drops him onto planet Earth, the birthplace of humanity, which they left so long ago that they’ve forgotten where it is. He finds the planet not frozen over as the Alliance’s history states, but flooded over, a massive ocean without end and without land, and people living in old, rusted ships on the ocean’s surface. 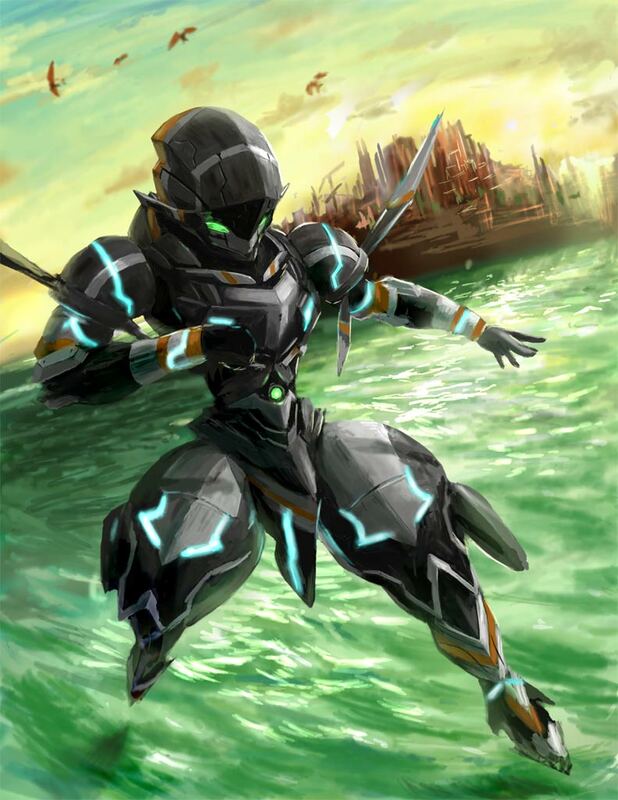 The fleet that takes him in is called Gargantia, and through his experiences involving said fleet, he comes to a new understanding of humanity. I’ve mentioned this anime before, way back when I did the 30-Day Anime Challenge, especially regarding the robots, the mechs that play an integral role in the story. So, yes, I like it. I like the mechs. I waxed eloquent about this before, so to just summarize: I like the variety of mechs, I like the texture they help give this world, and I especially like the role they play in the story. Unlike in other anime, the mechs here are important to the story without having the story revolve around them. There are other world-building details that I am less satisfied with. In particular, the idea that the world managed to freeze over, and then thaw out, and now somehow there’s no dry land anywhere, yet people are still managing to survive in rusty, wrecked ships that they drag from the bottom of the ocean. Seriously, it really felt like a stretch to me, there’s no way an entire civilization could last very long like that. I like the narrative, and how well it uses the three-act structure. The way it works is, basically, you set up the situation, then you throw in a complication. Then you deal with it, and there’s usually a small climax that ends the beginning, everything has been set up. The second act, roughly twice as long as the first, proceeds with further complications and tension, rising to a greater climax in the middle of the story. Then things descend into normalcy, until you throw in a curve ball, something from the first act returns, and there’s another climax, usually the reverse of the one preceding it. Then comes the third act, when the final conflict begins, often accompanied with grand reveals and moving action as the box shrinks around all our characters, and finally, the great climax of the entire story, followed by the descending action, the wrap-up, the end. There are things which could be improved, though. We had two episodes in a row, in the first half of the show, that are basically, “Ledo looking for something to do, and they’re having a party, and the girls are being dressed provocatively.” That last, actually, was a bit disconcerting. When it was just bikinis and other such swimsuits, it accomplished little besides fan service and begged the question of how these people, living such stark lives, were able to produce bikinis. It became rather disturbing, however, when they featured a trio of teenage girls, fourteen or fifteen years of age, belly dancing in outfits that could make a sultan’s harem blush, cheered on madly by a room full of older men. I know Japan has a very different perspective on legal ages, but some things are simply disconcerting, ya know? I also felt a touch confused when they essentially had Ledo have a miniature breakdown in the final moments of the climax. He’s grown close to a particular girl, and now that he’s basically going kamikaze to save her, he’s wishing he could see her one more time… which he just barely did, like, two minutes ago. This may have been all the show’s creators could come up with to both accomplish the final moments they wanted and keep Ledo from dying, but it still felt forced. Most of all, I like the discussion of what humanity is, what it means. Ledo, especially, learns about this. First, he sees humans doing things so differently from what he is accustomed to, and begins to learn about living, rather than just survival. He learns about feeling as well as thinking. Then, when he is faced with what he has been taught is the sworn enemy of humanity, he learns that they are more alike than he ever knew. Finally, when faced with the old doctrine that he once served, he finds it lacking. The two sides of this war he’s been fighting in? One has shed a human form, perhaps, but the other, his old side, has forsaken what it means to be human, the compassion and commitment that humans have towards each other, becoming nothing more than an empty shell. 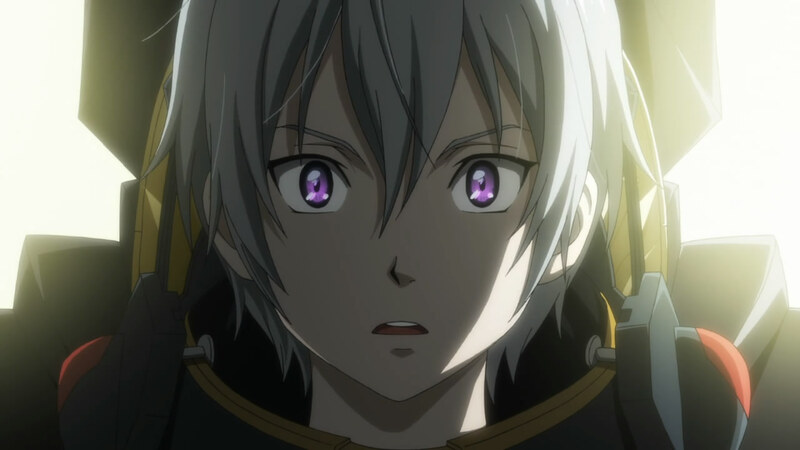 By contrast, Ledo begins the story behaving almost like a robot himself, and then he learns new convictions which make him more human. This clearly rubs off on his robot, too, whose final words and actions in the series display that even an empty robotic shell might carry a tiny spark of humanity within it. There’s more, of course. There’s always more. The fights are intriguing and well done, the characters are lovable, there are cute critters and wondrous sights, there’s laughter and tears, and the animation is top notch, not to mention the music. But that, really, is what I like most about this anime: the mechs and the world-building they represent, the narrative structure, and the discussion of humanity. It’s not perfect by any means, but it’s pretty darn good. This entry was posted in Anime and Cartoons, Tuesday Review and tagged Gargantia on the Verdurous Planet. Bookmark the permalink. I liked the beginning and end of this series but found the middle kind of lost its way. Still, it raises some good questions and Ledo’s character journey is pretty great. Thanks for sharing your thoughts.